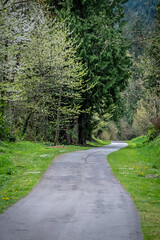 Do you use Marymoor Park, Cougar Mountain or our 175 miles of Regional Trails? Let us know what you think by taking our Parks and Trails User Survey! As part of our commitment to improving visitor experience, King County Parks is looking for visitor opinions – what’s great about King County’s parks, trails, and natural areas, and what could be improved to make them even better. The survey will be open until Dec. 7. Upon completing the survey, respondents can leave their email addresses to be entered in a drawing to win two tickets to a concert at the 2019 Marymoor Park Concert series!